By 1926, wolves were extinct in Yellowstone National Park (and nearly all of the United States as well). 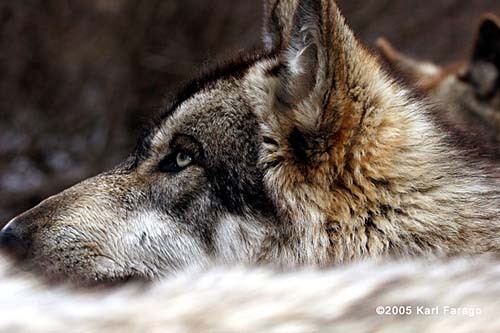 In 1995, thanks to a reintroduction effort, 14 wolves were re-released into the park. The Wolf Society of the Northern Arapaho returned as well, to do their wolf dance for the first time in half a century. Just as the wolf had been driven from its home in America, so too had the Native Americans. They came to celebrate the wolves' return, and the symbolism it represented for their culture.